As a consultant, counsellor, educator and researcher, my focus is the dynamics of well-being. I am interested in the many components of what it means to be 'well’. While specifics of temperament and personal history are always important, well-being is also shaped by social factors. Many aspects of our society are not necessarily conducive to health. Locating issues within the social contexts which influence them has many implications for understanding and healing. 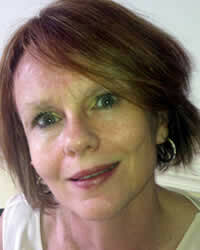 Pam Stavropoulos is a counsellor, consultant, researcher and trainer. A former Fulbright Scholar and university lecturer, she is a member of the Advisory Board of the International Society for the Study of Trauma and Dissociation (ISSTD) and a former Program Director at the Jansen Newman Institute.